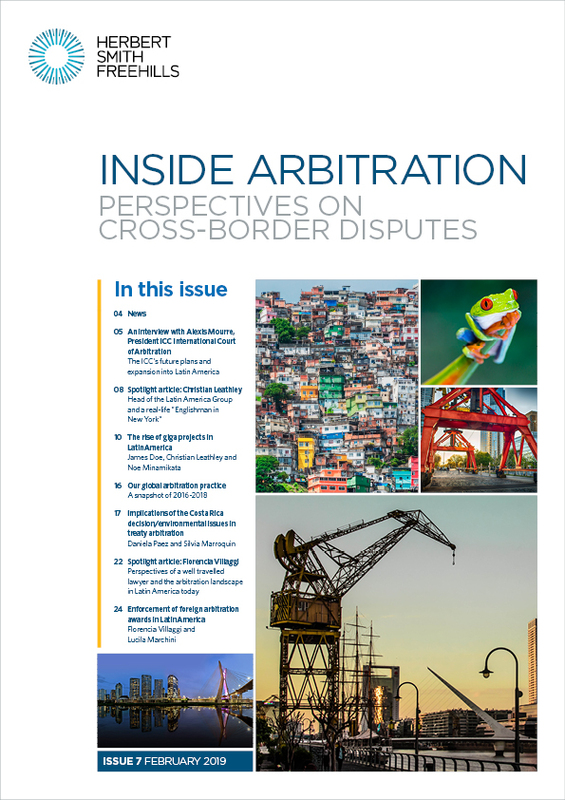 On February 14, 2019, in considering cross applications to vacate and confirm an arbitration award, the United States District Court, S.D. New York decided to grant the same deference to a decision made by an appellate arbitration panel as is given to an arbitral award under the Federal Arbitration Act (“FAA”) (Hamilton v. Navient Solutions, LLC., No. 18 Civ. 5432 (PAC) (S.D.N.Y. February 14, 2019). On July 3, 2018, Uruguay passed its International Commercial Arbitration Act after its upper house, the Chamber of Senators, signed off the draft in May. A day later, it was Argentina’s turn. These enactments mark the final step of a long awaited reform of the Argentinean and Uruguayan arbitration legislations, and finally place them on an equal footing with neighbouring states.